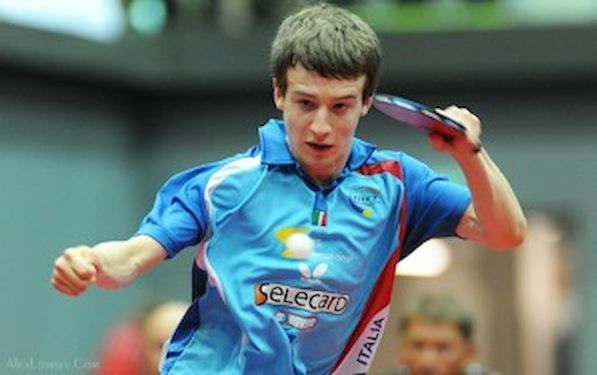 After many successes in youth level, Leonardo MUTTI (19 year old) became a champion of Italy for the very first time. The best European cadet of 2010 defeated Paolo BISI 4:1 in the final of the event which was held in the city of Molfetta. MUTTI absolutely deserves the title, especially knowing that he managed to eliminate in the semi-final defending champion Niagol STOYANOV in seven games. Last year STOYANOV overcame BISI in the super exciting final. In the women`s final Veronica MOSCONI made a big surprise beating WANG Yu 4:1. WANG was considered as clear favorite. She was a member of golden Italian team which got the title in 2003 European Championships in Courmayeur.